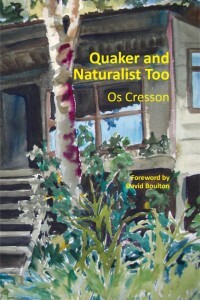 Quaker and Naturalist Too, by Os Cresson, foreword by David Boulton, published in 2014 by Morning Walk Press, Iowa City IA. This book is available now at QuakerBooks in Philadelphia (online at www.quakerbooks.org ) for $15.95, and it will soon be carried by the Quaker Centre Bookshop in London (online at https://www.quaker.org.uk/shop ). The author’s income from book sales goes to Quaker nontheist groups in the US and UK, or is used for printing and marketing more copies of the book. If you have questions please contact me at oscresson(AT)juno.com. 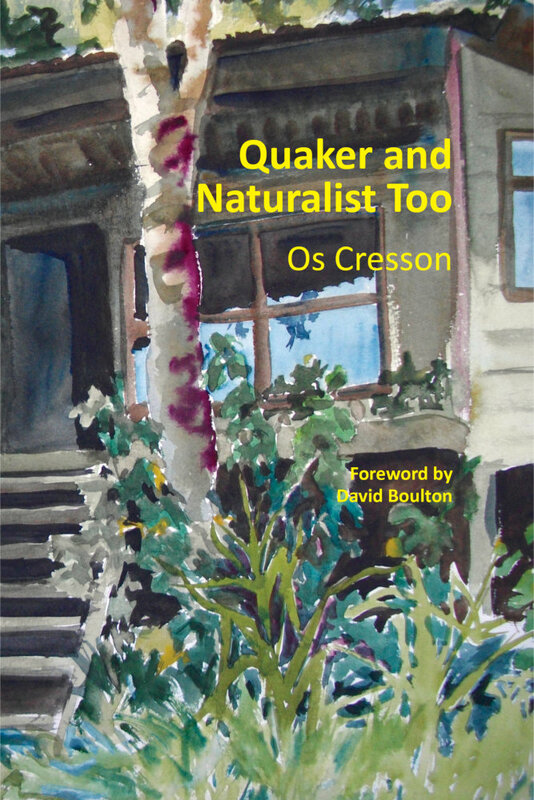 Quaker and Naturalist Too is about the practice of unity, and Quakerism and science from my perspective, and the history of this approach among Friends. There are many excerpts from the writings of Friends, plus occasional bits of my own personal story. The book begins with a foreword by David Boulton in which he comments on my approach as a Quaker and a naturalist. He suggests that the book is a personal exposition of one Friend’s point of view, as well as a handbook for Friends seeking reconciliation and a history of the development of Quaker nontheism. The main text of the book is divided in three sections. The first offers a general approach and specific practices that support unity as we differ in religious philosophy and in our views on science. The second section of the book is about Quakers from a naturalist’s perspective, and science from my perspective, and Friends’ outreach to scientists. The third section is a review of Friends’ writings that led to the Quaker nontheism of today, and a review of religious naturalism in the time of George Fox. The book concludes with a glossary, a list of publications on Quaker nontheism, a bibliography of material about the forerunners of the Quaker nontheists of today, and over 200 source notes to assist you in further study. I hope this will be of interest to Friends and their friends and families who are concerned about our views on religion and science, and our unity even as we differ. You may see Quaker and Naturist Too at www.amazon.com (search for the title). Click on “Look Inside” and you will be able to page through the book. The table of contents is copied below.